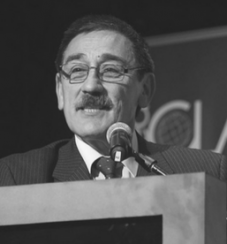 In 1987, Dr. Florencio Utreras, considered Chile’s ‘father of the Internet’, led the connection of Chile to BITNET, an academic network established in 1981 at the City University of New York and Yale University. He subsequently became the head of Chile’s own pioneer academic network, which in 1991 became REUNA, Red Universitaria Nacional, Chile’s National Network for Research and Education (NREN). In 1999, as leader of ENRED, Utreras, in conjunction with a coalition of other organizations, helped create the Latin American and Caribbean Internet Addresses Registry (LACNIC). Around the same time, as a member of Chile's Presidential Committees for Information Society, he contributed to the founding documents of Chile’s growing Internet and network ecosystem. In 2003, as representative of REUNA, Utreras founded the Latin American Research Networks Cooperation, CLARA (Cooperación Latinoamericana de Redes Avanzadas), which was an NREN initiative. He served as its executive director until June 2017. In this role, he also contributed to the creation of the Latin American Research and Education [MI17] backbone and was one of the creators of the BELLA Project, a European Commission-funded effort of the research and education community to own spectrum on a new submarine cable directly linking Europe to South America.